Chelsea Grin’s Ashes to Ashes may have been one of the more anticipated records to release in 2014. Being the band’s third full-length record, all eyes are on the band and where they’re going with this one. Chelsea Grin have always had an interesting effect on the fans. With as many people who love the band, there seem to be just as many who dislike them. However, in the wake of Ashes to Ashes, that should change immensely as it’s a game changer for the band. From the get go, the onslaught of the triple guitar attack of Dan Jones, Jason Richardson and Jaek Harmond is an all-out assault on the senses. You can feel the aggression they felt when they went in to lay down the tracks and, as always Alex Koehler is a man possessed and provides some of the most chilling and destructive vocals of his career. The brutality and destruction we all love from Chelsea Grin is still present and evident as ever but they’ve thrown in some focus on the melodic side that will usher in a whole new legion of fans. Did they experiment? Sure, but all great bands do- they have to. Do you want them to stay the same? Of course not, they’ll get bored and so will you. 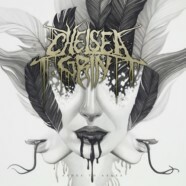 Experimentation and nuances are minimal with Ashes to Ashes and the bludgeoning, seething force of Chelsea Grin is maximized on this record and the songwriting as a whole as matured and improved leaps and bounds. Ashes to Ashes is also one of Chelsea Grin’s most lyrically strong efforts. In the end, Chelsea Grin have outdone themselves once again and set the precedent for what deathcore should be moving forward.